We’re closing in on the end of the first ‘era’ of Marvel Studios movies, with Avengers: Endgame exactly 100 sleeps away (yes, I’m counting). And now artist John Guydo via Bottleneck Gallery has delivered a suitably epic pair of posters to commemorate the amazing era of films we’ve had the pleasure of living through. As we’ve been promised by Marvel’s Kevin Feig, what comes after Endgame will be new and different and a big shift from this first 10 years we’ve enjoyed. We will get a real ending to the story so far. So it’s fitting this first epic saga gets the appreciation it deserves. 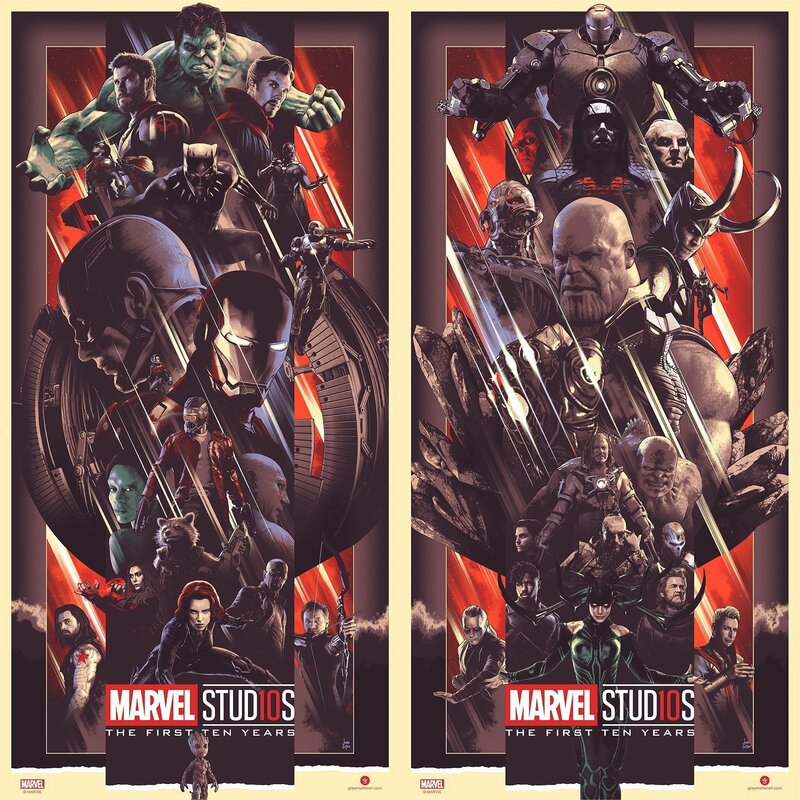 These posters – a time limited edition that will close at 4.00pm Monday AEDT – are a beautiful way to remember the great characters we’ve loved and hated on this cinematic journey. I want it. If only I felt like I had somewhere to put them. I have too many unmounted / undisplayed posters as it is. But if you’re better than me at making decisions about how to cover your walls, go get ’em before they’re gone!